Here is your site countries database. 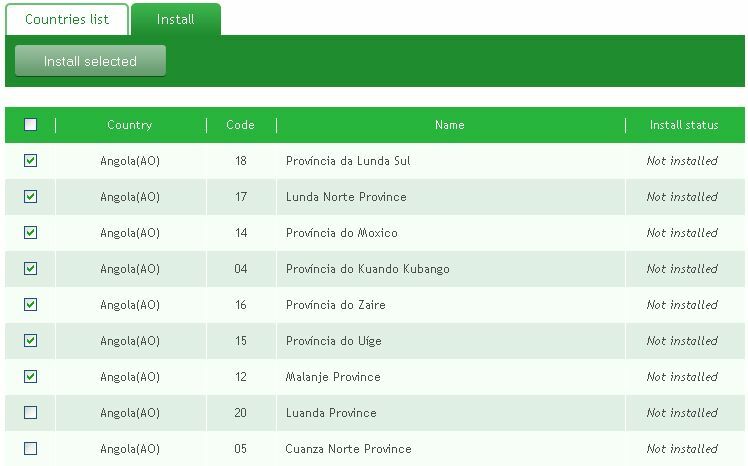 You can install countries database, add/edit/remove installed countries, their regions and cities. To install a country go to “Install” tab, choose a country (249 countries are available) and click “Install” link on the right side of the page. 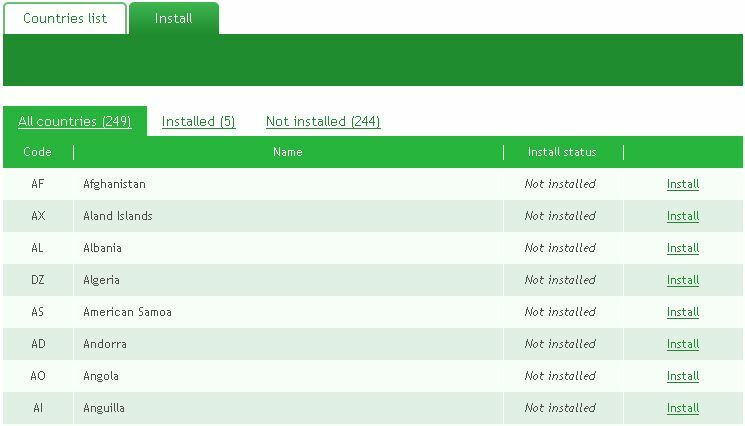 You can install any country to your site, one by one. At the same time, it’s not recommended to install more than 12 countries – the countries database size is more than 50 Mb. It may overload your site. You’ll see a list of all regions in the country. 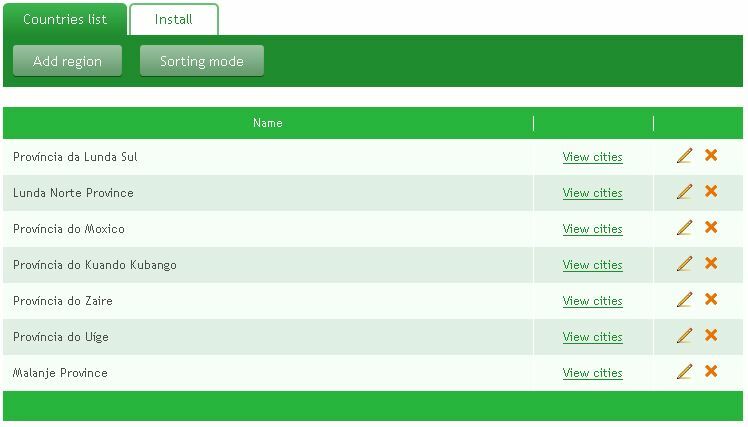 Check regions and press “Install selected” button on top of the page. The progress bar will shows you the installation progress. Do not leave the page till the end of this process. sort regions ans cities order.